I’m not a huge movie buff, and I only went to one law school (Harvard). Fortunately, though, there have been two movies made about my alma mater: The Paper Chase in 1973, and Legally Blonde in 2001. Creative as those films may have been -- I can’t say for sure; when they were written I wasn’t even thinking about law school yet! -- both of their portrayals struck several chords with my own Harvard Law experience, circa 2011-14. 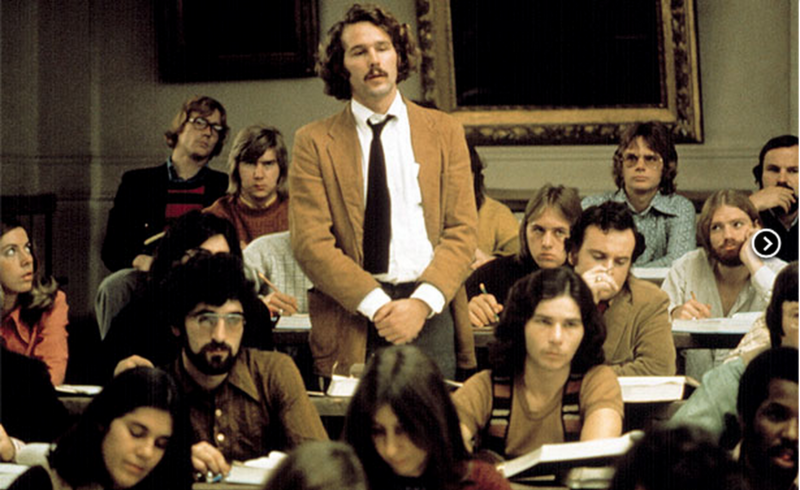 Of course, the question remains: which movie got law school right? The scenes of Hart in class with Professor Kingsfield are unforgettable. Law school classes come in all shapes and styles, from big Socratic lectures to small intimate seminars (often with dinner provided! ), but I’m sure every 1L at Harvard can remember an experience of being flat-out intimidated when cold-called before the whole class. Elle is cold-called too, but her experience comes off as more satirical. Paper Chase what it feels like to be in a class like that. If you believed the Paper Chase on this one, you’re out of luck: Harvard Law students these days do much more than the occasional dinner party. I don’t recall seeing any bunnies at our costume parties, or bikinis at pick-up football games, but there were plenty of parties and football games nonetheless. Law school may be hard, but it’s still school, there’s plenty of fun to be had. 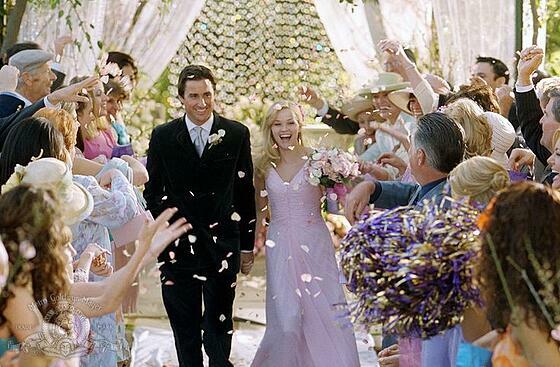 Legally Blonde ties it back up. Once again, Paper Chase falls flat. Hart and company are too busy studying to practice much law on their own, but Elle joins a team preparing for trial and gets invaluable experience in the process. So, the ending might be a tad unrealistic. But I got a prison client off of two disciplinary charges in a hearing three months into my 1L year. By the end of 3L I had friends winning jury trials. The work is hard, as Legally Blonde shows, but personally and professionally I think it’s worth the commitment. Legally Blonde for the decision. Law school is a deeply intellectual place. 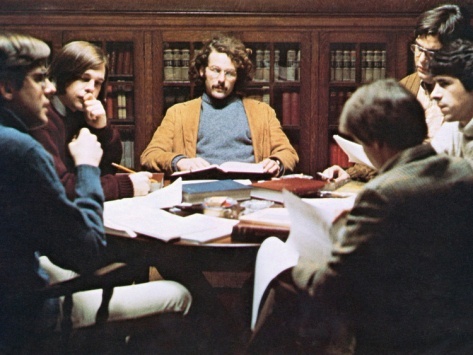 Most of the students I met at Harvard were serious about their academics and about the law; they cared not only about doing well in school but also about understanding, critiquing, and debating the law itself. (Once they actually know what the law is!) Legally Blonde captures the hard work and desire to succeed, but the scenes of Hart and his friends discussing the law earnestly and honestly -- and studying like crazy! -- just can’t be beat. Paper Chase takes this one. This is probably a strange category on which to rate movies about law school, but isn’t this ultimately what movies -- and maybe life -- is all about? Hart falls for Kingsfield’s daughter; Elle for an older law student. I’m inclined to call this a toss-up, since I like both stories… but, no matter how friendly professors can be, I think in the end that the chances of falling for an older, wiser student are ultimately higher than those of sneaking into a professor’s house late at night. (I can speak from experience on the former!) 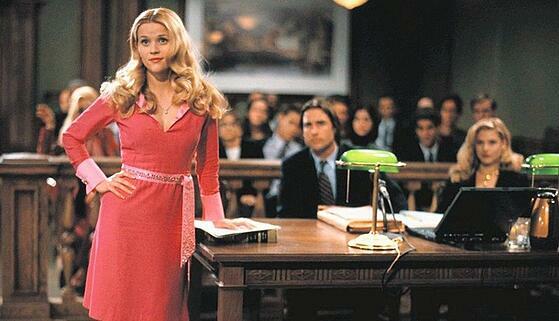 So, the tiebreaker goes to Legally Blonde. 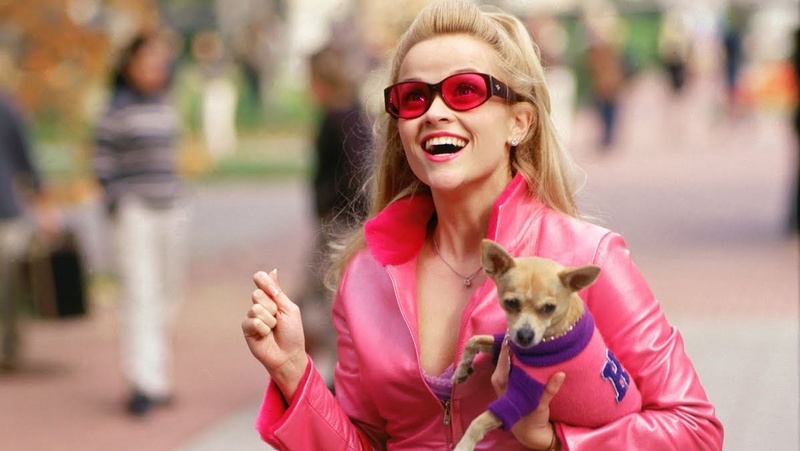 A split decision, but the winner is… Legally Blonde! Of course, if you haven’t seen either, and don’t mind knowing the endings, I’d really recommend you watch both. But, to balance your perspective, pay closer attention to Elle’s experience there than to Hart’s. Happy viewing!